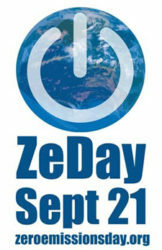 Celebrate Zero Emissions Day on Sept. 21 by reducing your environmental footprint. 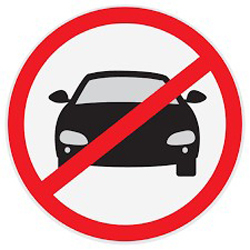 One day a year, people worldwide attempt to minimize or eliminate their use of fossil fuels like oil, gas and coal. Burning fossil fuels contributes to carbon emissions and climate change. Bike, walk or take public transit to Vanderbilt. Go to bed early to use less power from lamps, and consider lighting candles. Rather than use computers or TV, take a walk with a friend or play a board game for fun. The day after Zero Emissions Day, pledge to reduce emissions even further by celebrating World Car Free Day by walking, biking or taking public transit again. This movement is greater than just one day—World Car Free Day sets a long-term goal of using more sustainable ways to get around, which helps reduce greenhouse gas emissions and traffic congestion. The more people travel by walking or using bicycles, buses, trains, carpools and vanpools, the less pollutants are released into the atmosphere. Check out Vanderbilt’s alternative transportation resources to find ways to get around town that don’t rely on your car.